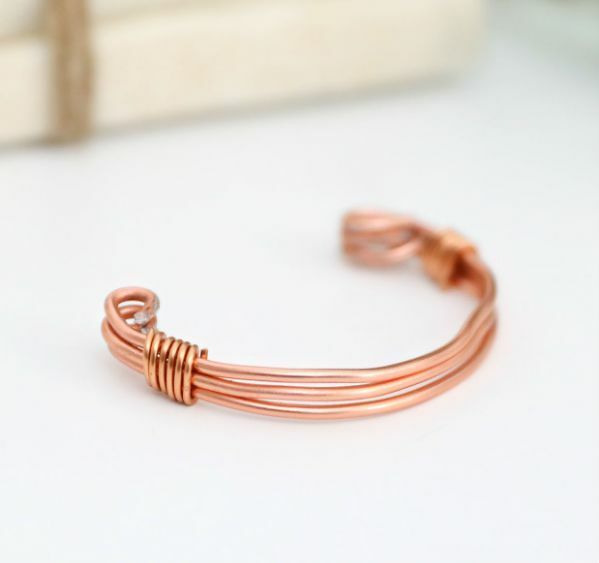 This copper wire cuff bracelet looks equal parts sophisticated, sleek and modern, and simultaneously reminiscent of a classical Greek or Egyptian wrist bauble. However it impresses, there’s no question it’s gorgeous. This is a speedy and technically easy project, so the likelihood that a crafter could produce one for themselves and an extra for a gift is not out of the question. This eye-catcher will work equally well with a sweater and jeans or an elegant LBD. The project really provides it all. It's doable for any level of crafter, quick to execute, and the finished product is something everyone will swear came from a high-end gallery store. 1. Cut a six-inch length of the thick copper wire. 2. Flatten the wire straight with the pliers. 3. 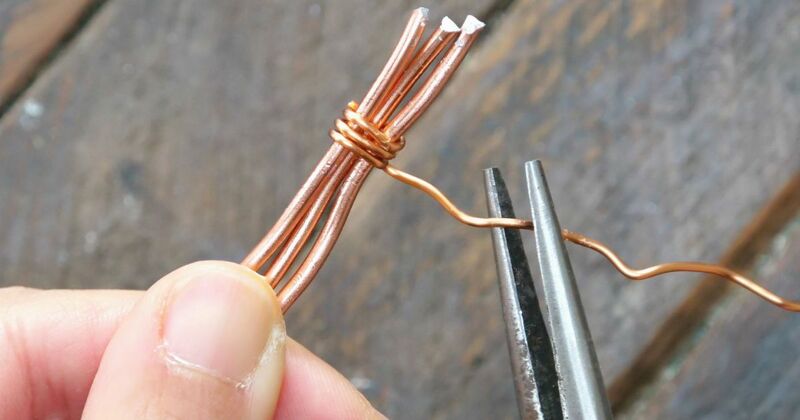 Repeat steps 1-2 twice, so you have three pieces of straightened copper wire, all of equal length. 4. Cut about three inches of the fine copper wire and wrap it around one end of the three pieces of thick wire about six times. The thick wire pieces will now be close together. 5. Using the wire cutters, cut the excess ends of the fine wire that’s wrapped around the end of the piece. 6. Repeat steps 4-5, except at the other end of the bracelet. 7. Take the pliers and bend the three straight ends of the thick wire pieces on one end of the cuff. They should meet at the place where the wrapped fine wire ends. This will create a graceful teardrop-shaped loop. 8. Repeat step seven, but at the other end of the bracelet. 9. Manually shape the piece into a bracelet shape. 10. The cuff is now ready to wear.